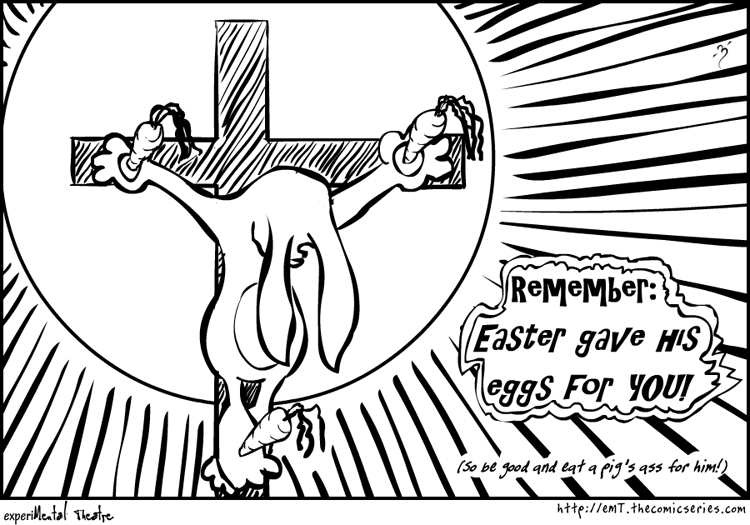 experiMental Theatre - Happy Easter! Comic 78 - Happy Easter! Oh - and the candy is good, too! ...the Ring of Fire, the Ring of Fire. There, but for the grace of Bunny, go I.